It’s hard to describe the feeling when the events are drawing closer and you can finally show what you’ve worked so hard for over the last few months. On July 11th the time had finally come: the first event for our electric vehicle in Italy was just around the corner. 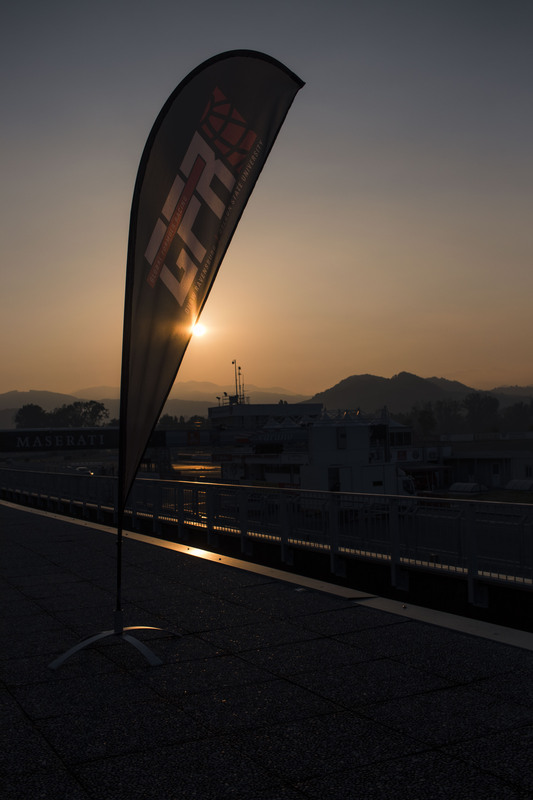 In the middle of the night our team made their way to the racetrack in Varano de’ Melegari. After almost 6 hours by car and more than 10 hours of driving for our two sprinters, we reached our destination. First of all we had to move into our pit and set up our team tents on the campsite. The event schedule for the first day included the inspection of the driver’s equipment and the HV tools. 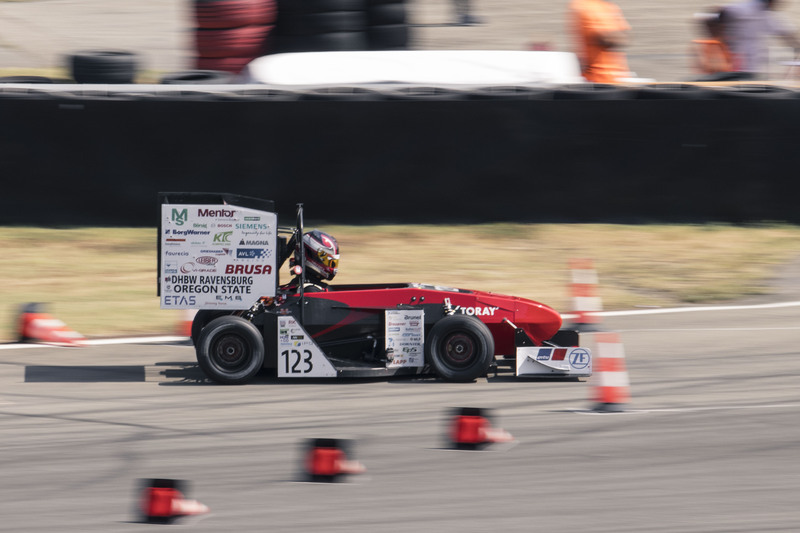 In addition, our battery had to pass scrutineering – with success. The first evening ended with an opening ceremony hosted by the organizer. Our Thursday morning started directly with the electrical inspection of the car – which we also successfully completed. In the afternoon two of our static events were on the agenda: on the one hand the business presentation and on the other hand our cost report. At the same time we could start the mechanical inspection. Due to time constraints, however, we were not able to finish it, so we had to postpone the egress until the next day. Friday started directly at 9:00 a.m. with the last static event: our design report. Immediately afterwards we went back to the technical inspection, where all drivers had to pass the egress test which entails leaving the car within 5 seconds. The car was also weighed on this day – with a weight of 188 kg we were able to make our car lighter again this year. The brake, noise and inclination tests were also carried out. Towards the end of the day we had the chance to do a few laps on the test track. On the fourth day the dynamic events finally started. As the first discipline we would face the acceleration run and break a personal acceleration record with our second driver – a time of 3,552 seconds over 75m! That meant third place for us. We continued to the skidpad. Here we reached a time of 4.744 seconds and thus a good second place. Before lunch we had the chance to send the car to the test track again, before we went to the Autocross at 16:00 o’clock. Our drivers achieved a best time of 51,451 seconds and thus secured first place in the electric car category! Our last day started at 9am with the last dynamic event, the endurance race. Due to our first place in the Autocross on the previous day we had the perfect starting position. 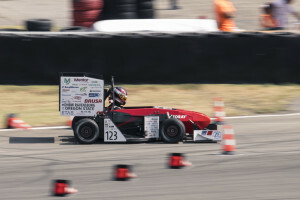 Our drivers set a best time of 1394.603 seconds and finally secured second place.